Motorcyclists can be seen year round throughout much of California. Home to a thriving cycle culture, the LA, for example, is an area that is a prime spot to enjoy a ride out in the sun even in the winter. However, the amount of other drivers on the road and other factors could lead to a catastrophic bike crash. When this happens, it is often the cyclist that is left holding the bag– severe injury, medical bills, repair bills, and other long term issues. Due to the function of a motorcycle, injuries sustained while riding them are often severe. This could include incredible road rash, broken bones, glass lacerations, and spinal injuries. Riders often need immediate medical attention and are rushed to the nearest emergency room. Riders that are not covered by medical insurance are often at much higher risk of severe complications needing the assistance of a skilled attorney. Our members have seen it all, and have won for our clients before. Our experience has helped hundreds of clients recover millions in compensation for similar cases. 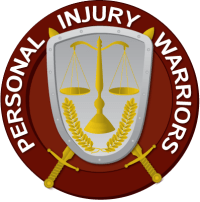 We collectively have made sure that you are taken care of in the past, and most injury lawyers don’t ask for a penny unless you get the recovery you deserve. For more information, or to set up a consultation with one of our experienced legal eyes, call us today.